On October 30, 2014 the Levy County Sheriff’s Office arrested Michael Hancock (26 yoa) on one count of Aggravated Manslaughter of an Elderly Person. Hancock is being held at the Levy County Detention Center on a five million dollar bond. The arrest was made after a lengthy investigation that began on July 10, 2014. On that date Hancock called 911 to report that the 96 year old Victim, Helen Bishop, was unresponsive. He informed responding deputies that Mrs. Bishop had died naturally at his home and she had previously signed a “Do Not Resucitate” (DNR) request. Deputies learned that Hancock had been providing 24 hour care for the Victim, along with Katherine Bowker (24) and Katelyn Allen (23). The Victim had been staying with Hancock, Bowker and Allen at a residence on SW 67th Place near Cedar Key. The responding deputies noticed some bruising on the Victim’s body but did not observe obvious signs of foul play. The following day during funeral preparations, the funeral director observed other potential signs of elder abuse. After interviewing the funeral director, LCSO Investigators requested that the Medical Examiner’s Office conduct an autopsy in order to more accurately determine the cause and manner of the Victim’s death. On October 24, 2014, LCSO Investigators were informed by personnel from the Medical Examiner’s Office that the autopsy had revealed that the Victim was found to have suffered a “bilateral fracture of the Hyoid bone,” a fracture of the calcified membrane around the thyroid gland, multiple rib fractures and a fractured collar bone. It was the Medical Examiner’s opinion that Mrs. Bishop could have been the victim of a homicide. On October 30, 2014, Investigators from the LCSO Criminal Investigations Division re-interviewed Hancock, Bowker and Allen regarding the autopsy findings. During the interview, Hancock admitted that on the date of the Victim’s death he had become very frustrated with her because she had soiled herself. While Hancock and Bowker attempted to bathe the Victim in the shower, Hancock became even more frustrated when Mrs. Bishop physically resisted being bathed. Bowker left the bathroom for a period of time. During Bowker’s absence, Hancock admitted grabbing the Victim by the neck to try to get her attention. He stated that he probably squeezed her neck harder than he should have and held it for approximately 2 minutes. After releasing his grip on the Victim’s neck, she became unresponsive. Hancock had to physically lift Mrs. Bishop from the shower to her wheel chair. 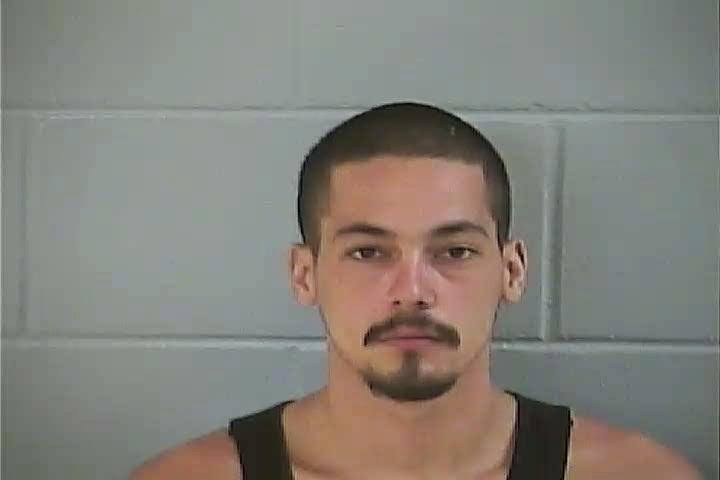 Investigators believe that Hancock broke the Victim’s hyoid bone when he grabbed and squeezed her throat. They also believe Hancock broke the Victim’s collar bone when he lifted her out of the shower. No charges have been filed against Allen or Bowker at this time. The evidence indicates that Allen was not present in the home during the incident. 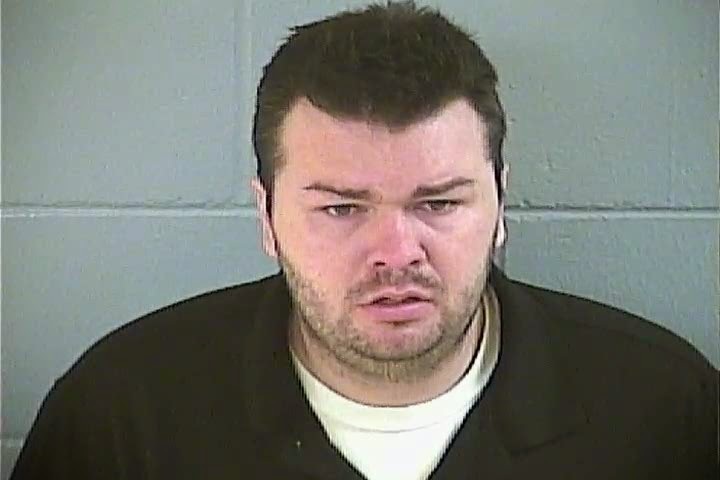 Investigators believe that Bowker was outside the bathroom when Hancock grabbed the Victim by the throat and played no part in causing the Victim’s death. LCSO is awaiting the final autopsy report and the investigation will remain open until it is received. On October 19, 2014, LCSO Victim Advocate, Amanda Sauder, and other motorists observed a wounded Bald Eagle beside County Road 337, just north of Bronson. Sauder reported the eagle to the Communications Center and Corporal Joe Sabbag responded to the scene along with Deputies Chase Gregory and Franco Almeida. The deputies determined that the eagle had most likely been struck by a car. It was unable to fly but appeared to be in good condition otherwise. They contacted the Florida Wildlife Commission but learned that FWC had no one available to immediately respond to care for the eagle. Corporal Sabbag advised that the eagle was standing in the mid-day sun light and he became concerned about it going into heat distress. Deputy Gregory was able to retrieve a cage from his home. The deputies then gently placed the eagle into the cage and moved it to a cooler area at the Sheriff’s Office. FWC personnel eventually responded and delivered the eagle to a proper rescue facility in the Newberry area. At last report, the eagle was recovering well. LCSO thanks the public for their concern for this symbol of our national freedom. (352) 486-5111"Know Something We Don't" Call Crime Stoppers 1-877-349-8477 remain anonymous. The Levy County Sheriff’s Office has arrested Kyle Brian Bell (DOB 1/12/95) and another male juvenile for Burglary and Grand Theft. The crime, which occurred at a residence south of Williston on U.S. 41, was reported on October 15, 2014. The Victim reported that unknown suspects had pried open a door of the residence. After making entry, the thieves stole 8 firearms, a computer, a cellular phone and other personal property. 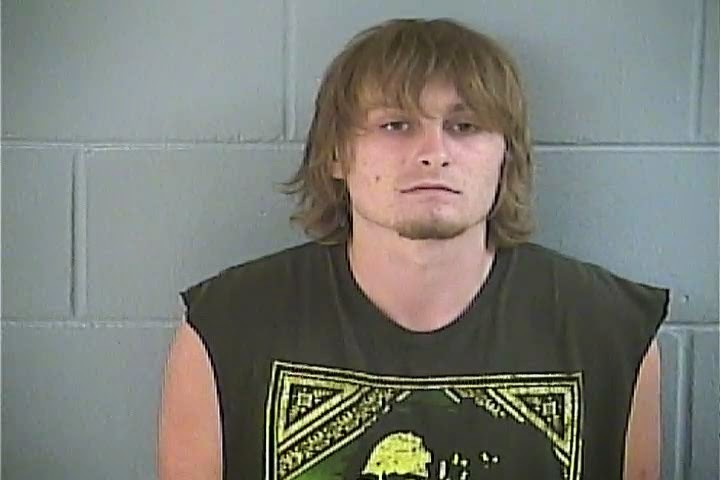 On October 18, 2014, Deputies received information from an informant indicating that the juvenile suspect was attempting to sell guns which matched the description of those reported stolen by the victim. Sgt. Mike Narayan and other deputies located the suspect who ultimately confessed to the crime. The suspect was arrested on October 18, 2014. Through additional witness interviews, the deputies identified Kyle Bell as a co-defendant in the case. Bell also confessed to his involvement in the crimes. LCSO Investigators were able to recover the 8 stolen firearms. Bell was arrested on October 23, 1014. Both suspects were booked into the Levy County Detention Center. The Levy County Sheriff’s Office has arrested David Michael Smith, (DOB 7/5/88) for Burglary, Grand Theft and Dealing in Stolen Property. The crime, which occurred at a residence in the Bronson area, was reported on October 3, 2014. The Victim reported that an unknown suspect had removed copper wire from the walls and appliances at his home. On October 20, 2014, Deputies received additional information from the Victim and a concerned citizen that led to the identity of the Suspect. Investigators Scott Stancil, Mike Wilkinson and Crime Scene Investigator Zeb Richburg worked the case to its conclusion. Smith ultimately confessed to the reported burglary and theft. After the theft Smith admitted he sold the stolen wire at the Williston Recycling business. In addition, Smith confessed to similar crimes at 8 additional residences in Levy County. Additional charges will be filed in those cases as soon as possible. Arnold Dean Fahr has been located by members of the search team. We thank the public and other agencies for their assistance. The Levy County Sheriff’s Office is seeking the public’s assistance in locating Arnold Dean Fahr. 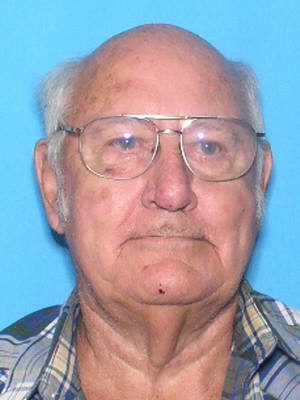 Mr. Fahr is described as a white male, 78 years old. He is partially bald and has gray hair and wears glasses. Mr. Fahr also wears a prosthetic leg. Mr. Fahr was last seen at his home this morning. The home is located at 20251 SE 81st Terrace, Inglis, Florida. Mr. Fahr does suffer from some health issues. LCSO deputies and several other agencies are currently searching the area for Mr. Fahr.